The Flicker is an ardent wooer. It is an exceedingly interesting and amusing sight to see a couple of males paying their addresses to a coy and coquettish female; the apparent shyness of the suitors as they sidle up to her and as quickly retreat again, the shy glances given as one peeps from behind a limb watching the other—playing bo-peep—seem very human, and “I have seen,” says an observer, “few more amusing performances than the courtship of a pair of these birds.” The defeated suitor takes his rejection quite philosophically, and retreats in a dignified manner, probably to make other trials elsewhere. Few birds deserve our good will more than the Flicker. He is exceedingly useful, destroying multitudes of grubs, larvæ, and worms. He loves berries and fruit but the damage he does to cultivated fruit is very trifling. From five to nine eggs are generally laid. They are glossy white in color, and when fresh appear as if enameled. The young are able to leave the nest in about sixteen days; they crawl about on the limbs of the tree for a couple of days before they venture to fly, and return to the nest at night. 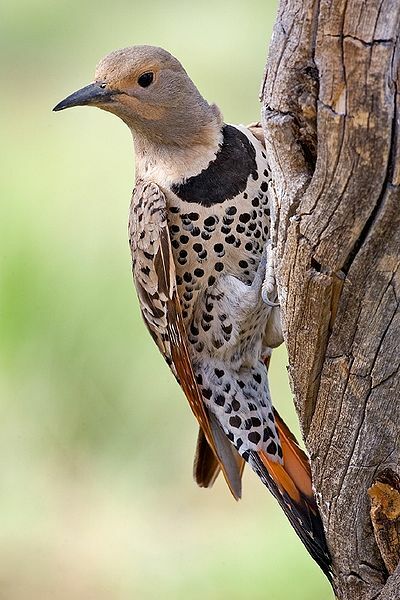 The Northern Flicker is part of the genus Colaptes which encompasses 12 New-World woodpeckers. There are two living and one extinct subspecies of Colaptes auratus species. The existing sub-species were at one time considered separate species but they commonly interbreed where ranges overlap and are now considered one species by the American Ornithologists Union. Whether or not they are separate species is a well-known example of the species problem. The Yellow-shafted Flicker Colaptes auratus resides in eastern North America. They are yellow under the tail and underwings and have yellow shafts on their primaries. They have a grey cap, a beige face and a red bar at the nape of their neck. Males have a black moustache. Colaptes comes from the Greek verb colapt, to peck. Auratus is from the Latin root aurat, meaning “gold” or “golden” and refers to the bird’s underwing. 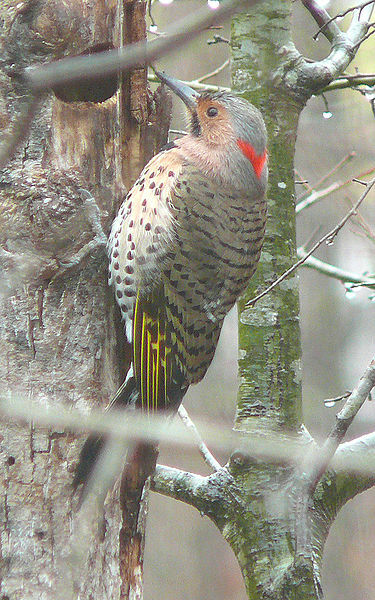 The Red-shafted Flicker Colaptes auratus cafer resides in western North America. They are red under the tail and underwings and have red shafts on their primaries. They have a beige cap and a grey face. Males have a red moustache. According to the Audubon guide, “flickers are the only woodpeckers that frequently feed on the ground”, probing with their beak, also sometimes catching insects in flight. Although they eat fruits, berries, seeds and nuts, their primary food is insects. Ants alone can make up 45% of their diet. Other invertebrates eaten include flies, butterflies, moths, beetles, and snails. Flickers also eat berries and seeds, especially in winter, including poison oak and ivy, dogwood, sumac, wild cherry and grape, bayberries, hackberries, and elderberries, and sunflower and thistle seeds. Flickers often go after ants underground (where the nutritious larvae live), hammering at the soil the way other woodpeckers drill into wood. Their tongues can dart out 2 inches beyond the end of the bill to snare prey. As well as eating ants, flickers have a behavior called anting, during which they use the acid from the ants to assist in preening, as it is useful in keeping them free of parasites. 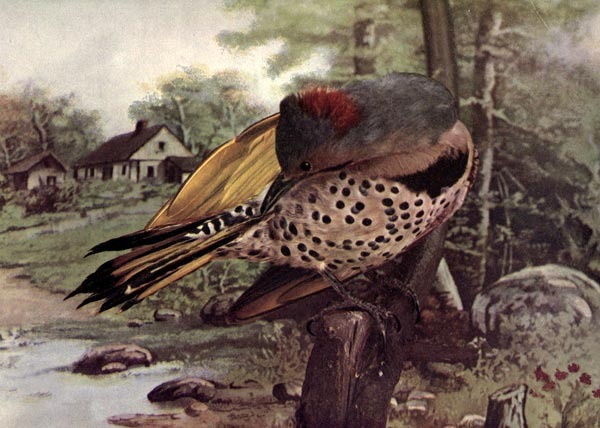 The Northern Flicker is in the Picidae – Woodpeckers Family of the Piciformes Order. 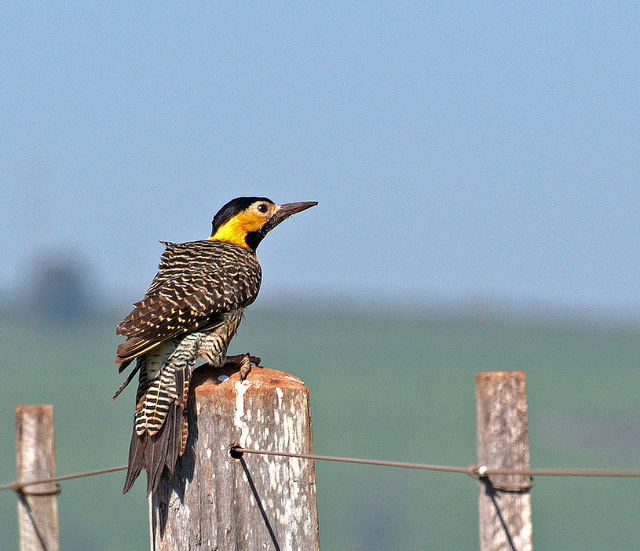 There are 6 Flickers; the Northern, Gilded, Fernandina’s, Chilean, Andean, and Campo Flicker. The other subgenus of the Colaptes (Chrysoptilus) includes the Black-necked, Spot-breasted, Green-barred, Golden-olive, Gray-crowned, Bronze-winged, and the Crimson-mantled Woodpeckers. The whole Woodpecker family has 231 species. 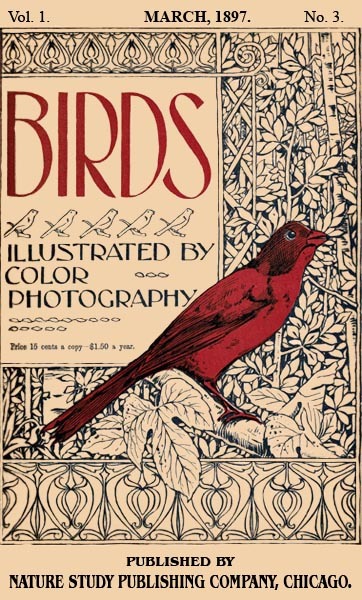 This entry was posted in Birds, Kid's Section and tagged Birds Illustrated by Color Photography, Birdwatching, Christian, From The Past, Home School, Kids, Northern Flicker, Photography, Picidae, Vol 1 #3 March 1897, Youth. Bookmark the permalink.